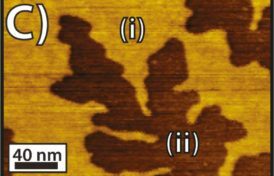 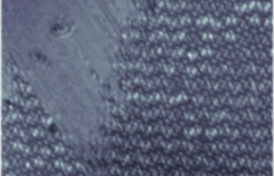 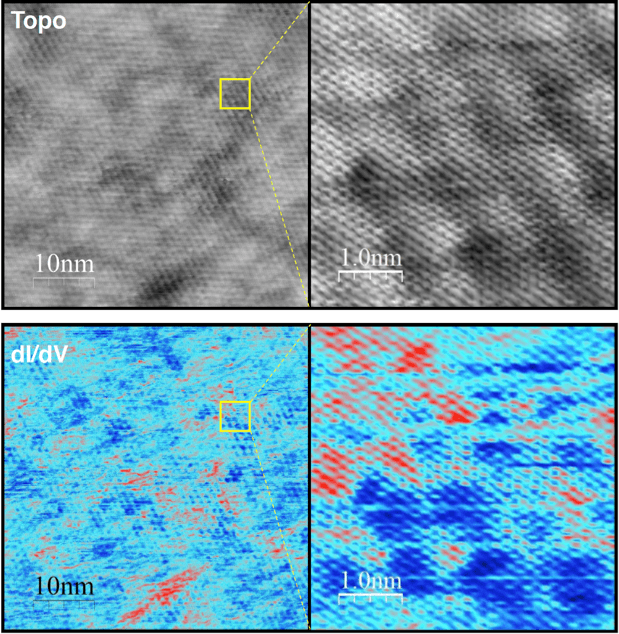 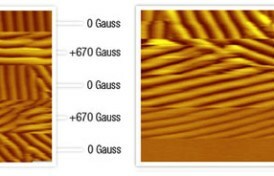 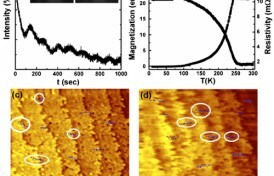 Kelvin Probe Measurement on graphene exfoliated on SrTiO3 (Strontium titanate) obtained in non-contact AFM mode using a frequency shift of -5 Hz. 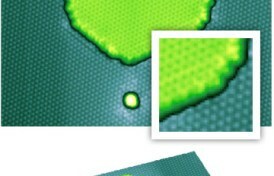 The graphene was irradiated with Xenon 23+ ions under grazing incidence of 6°. 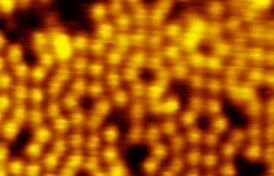 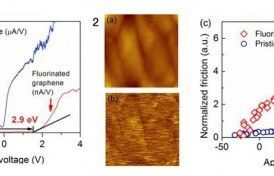 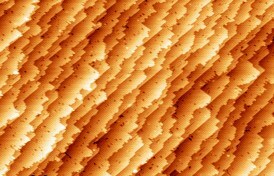 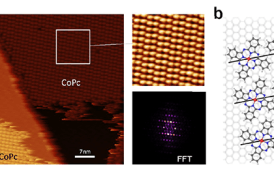 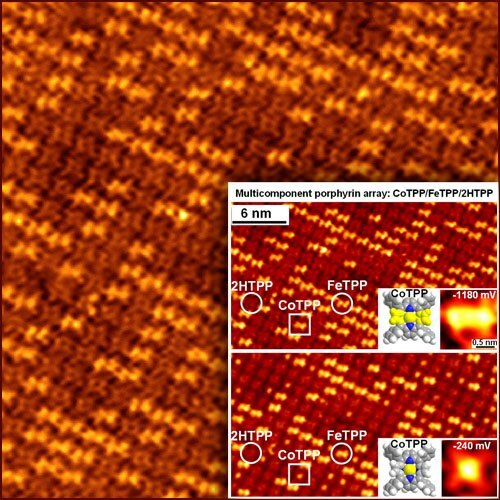 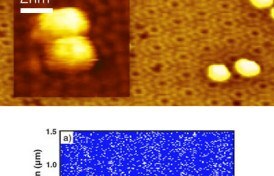 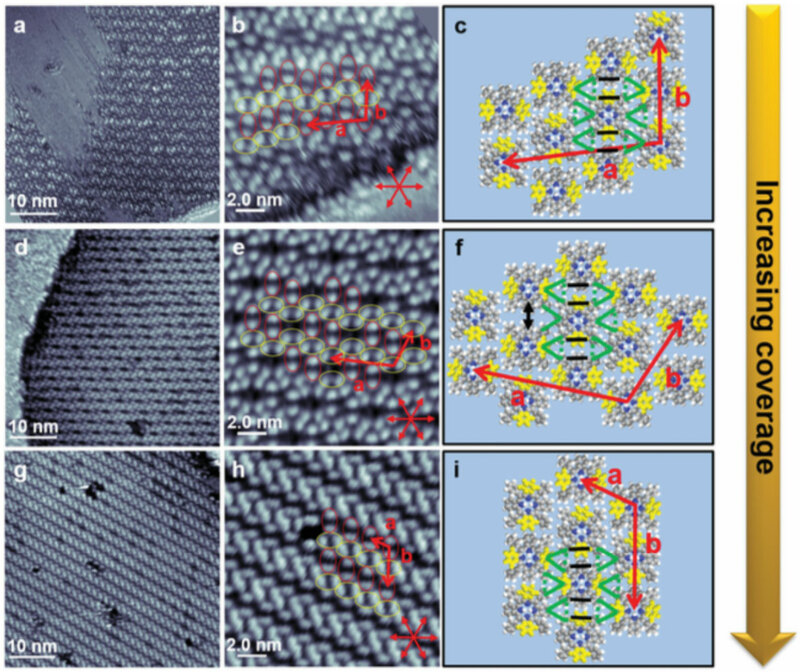 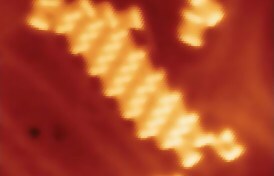 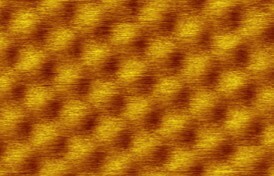 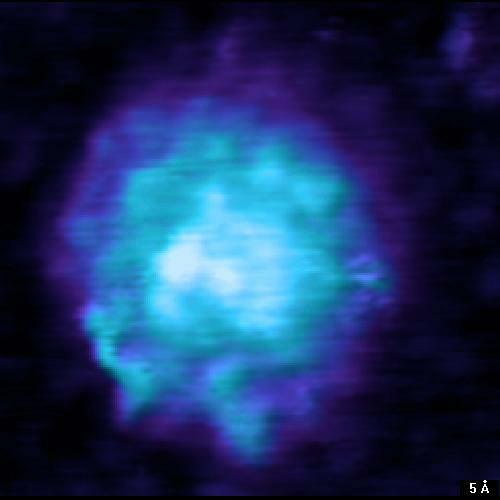 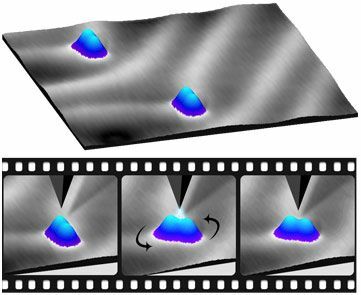 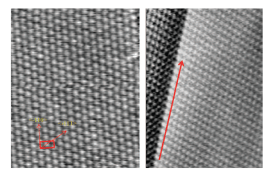 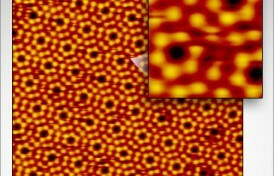 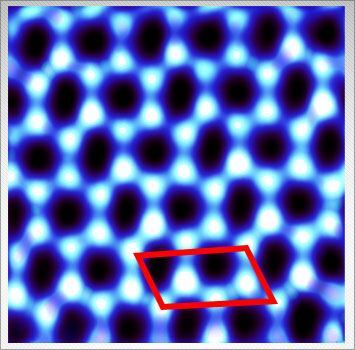 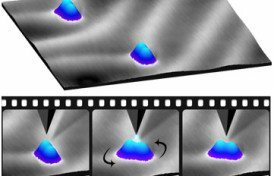 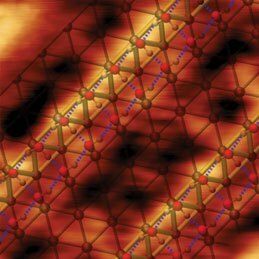 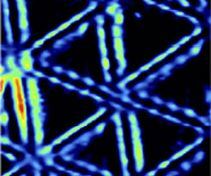 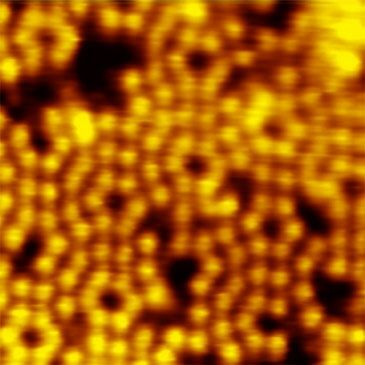 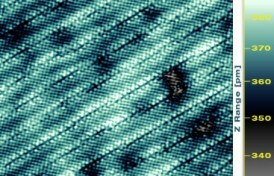 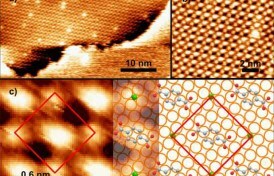 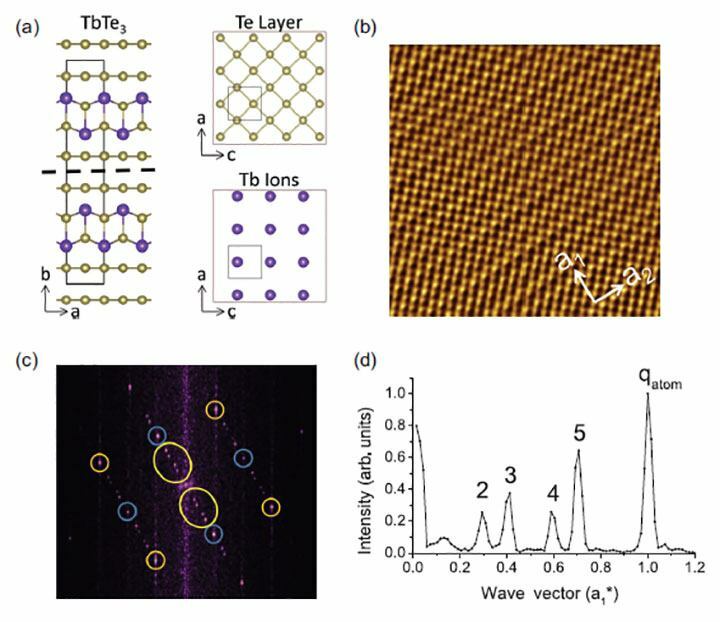 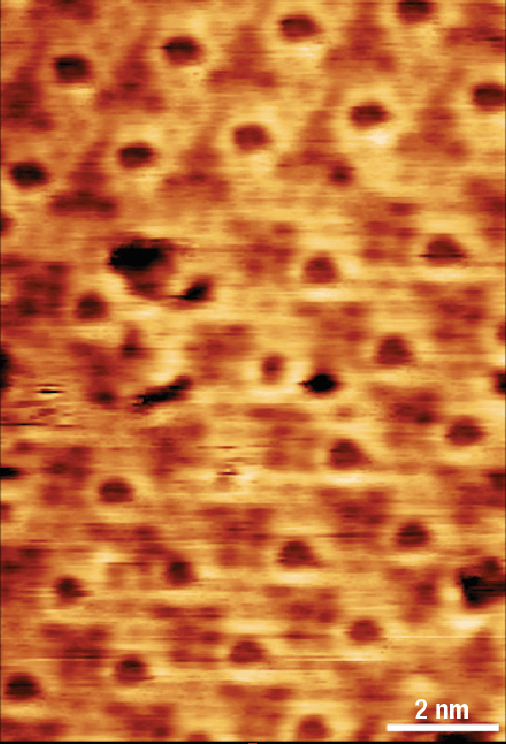 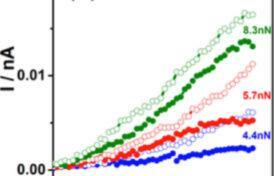 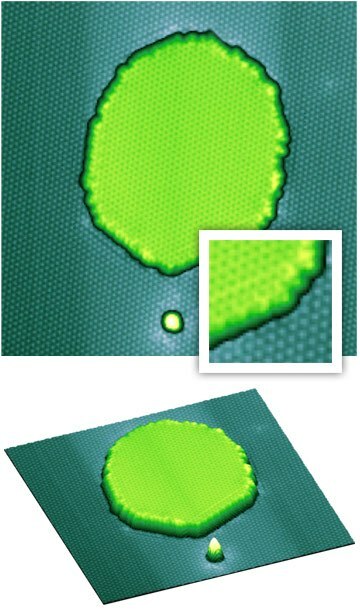 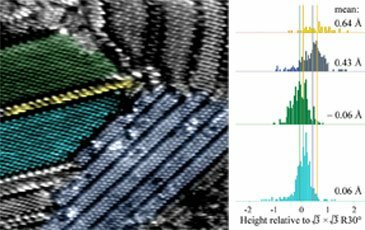 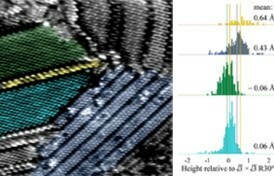 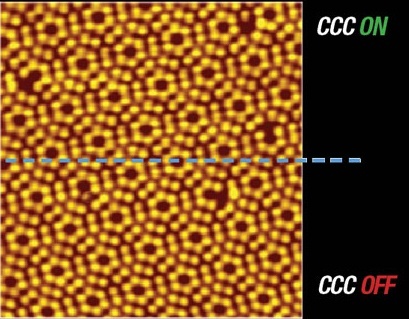 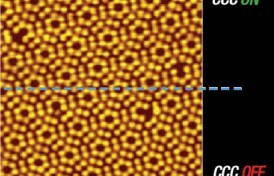 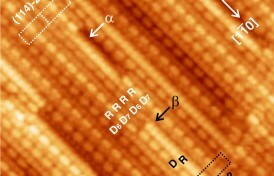 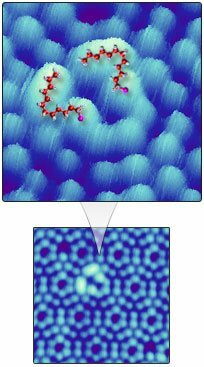 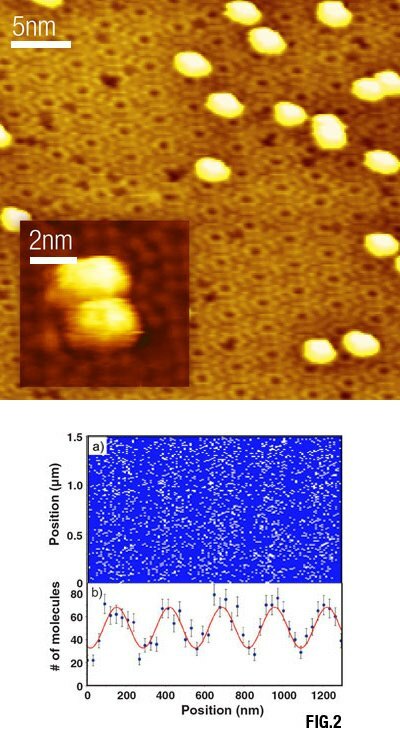 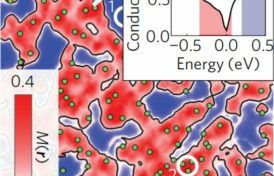 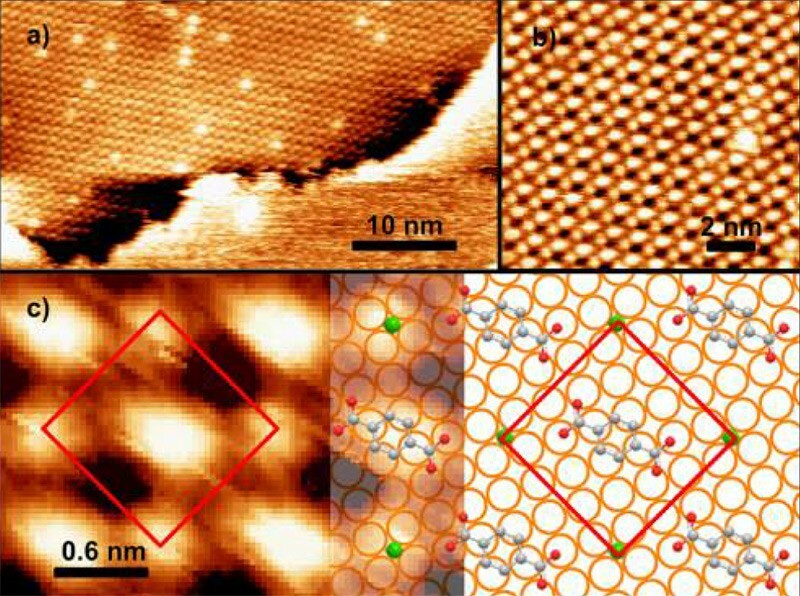 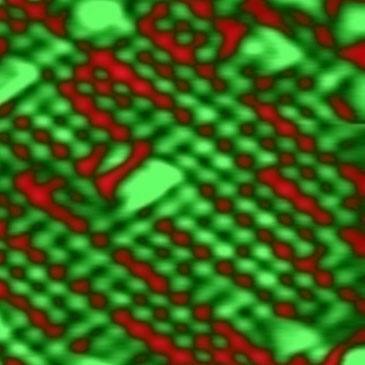 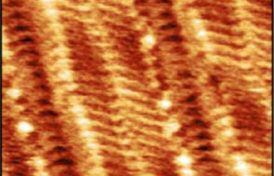 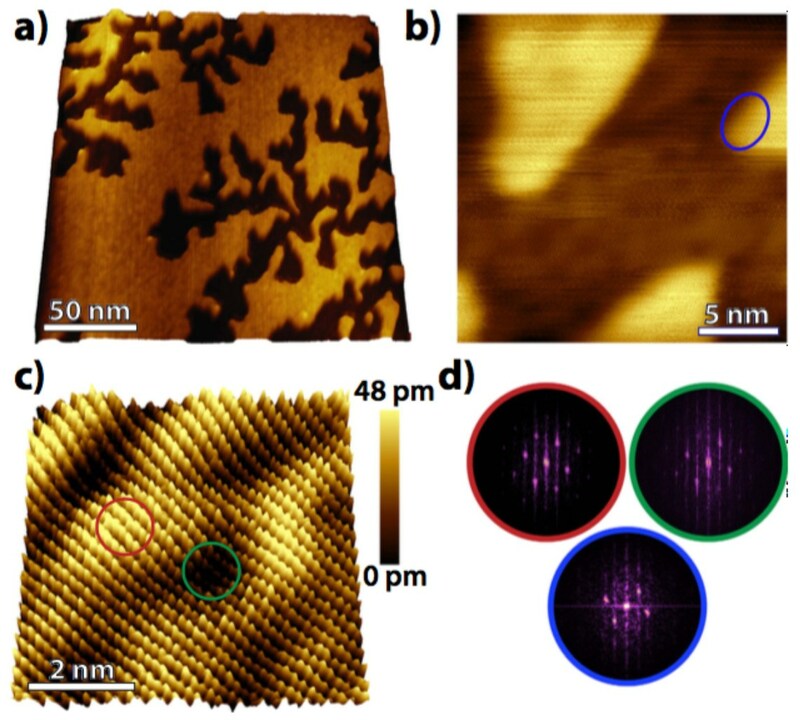 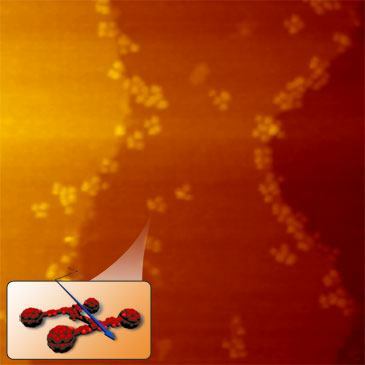 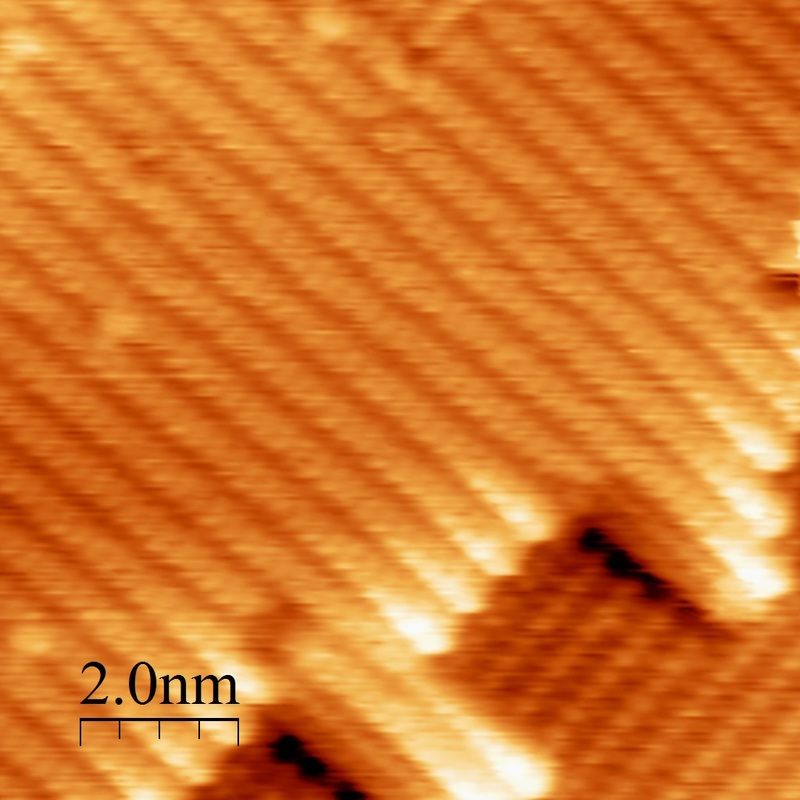 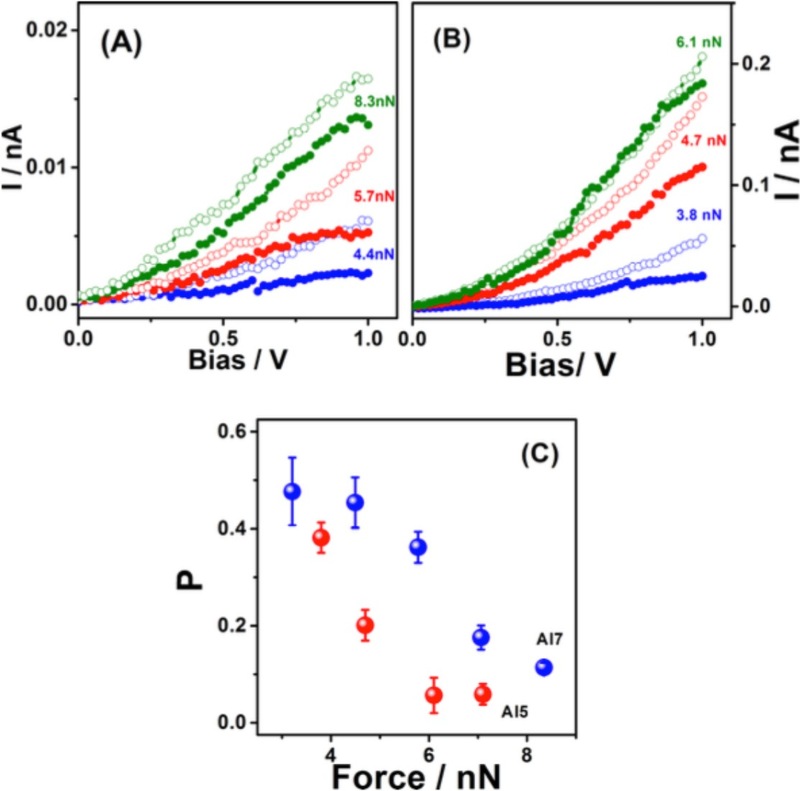 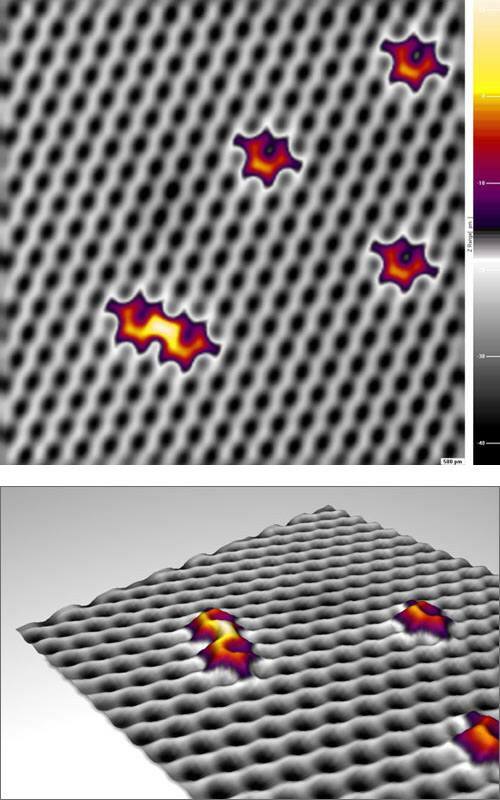 On monolayer the impact of the ions lead to characteristic folding. 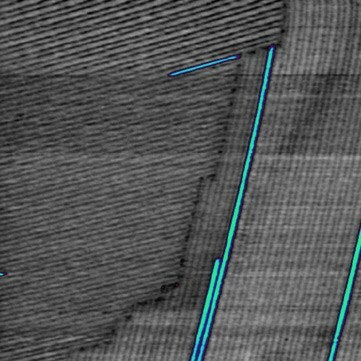 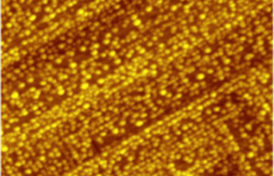 In Bias-Image the exposed underlying substrate in this area can be clearly seen. 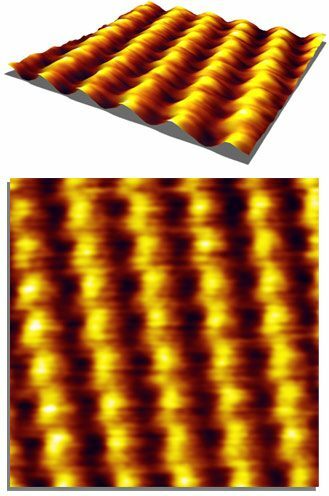 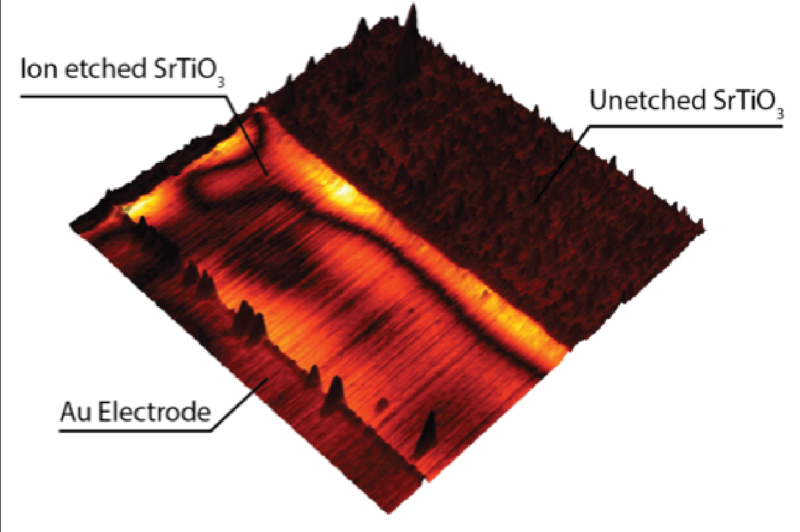 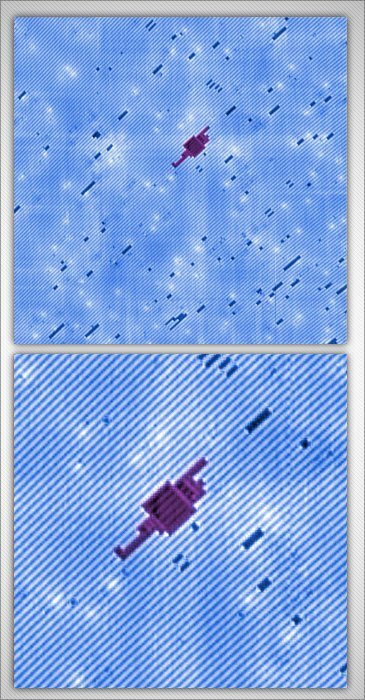 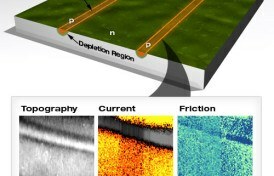 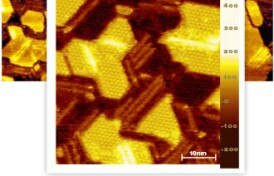 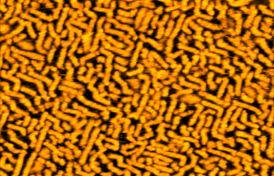 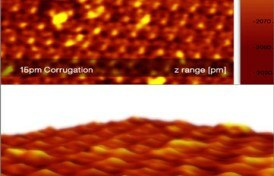 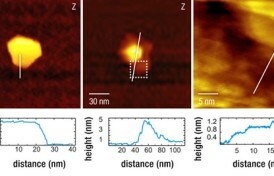 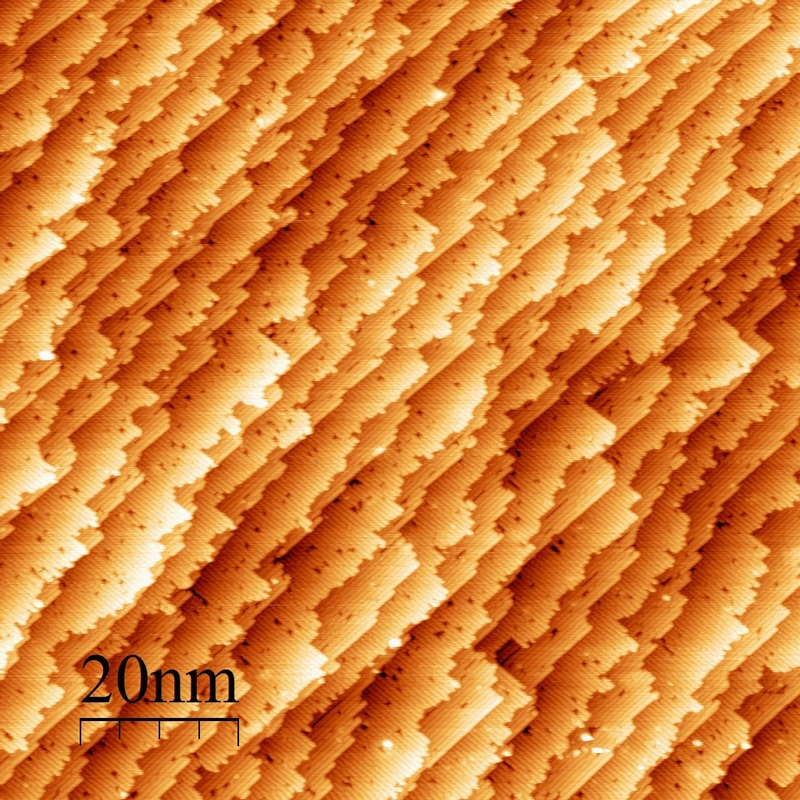 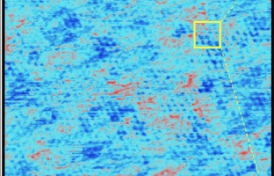 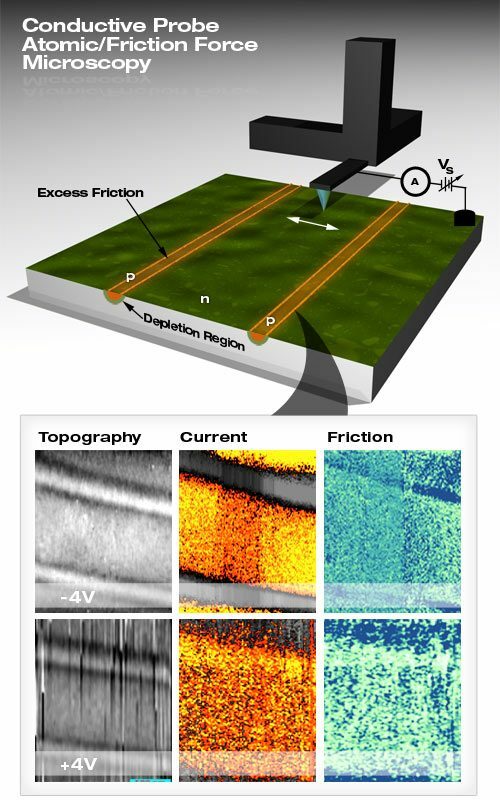 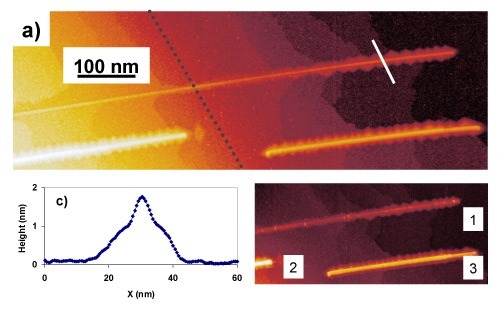 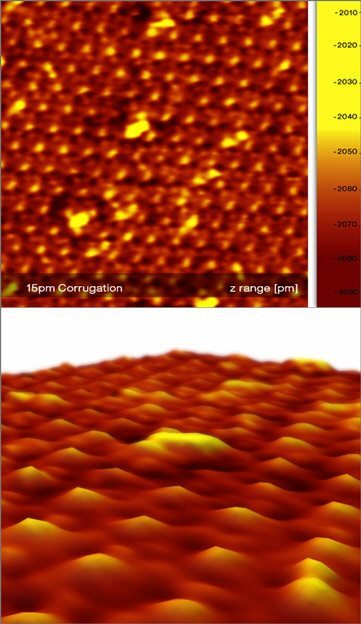 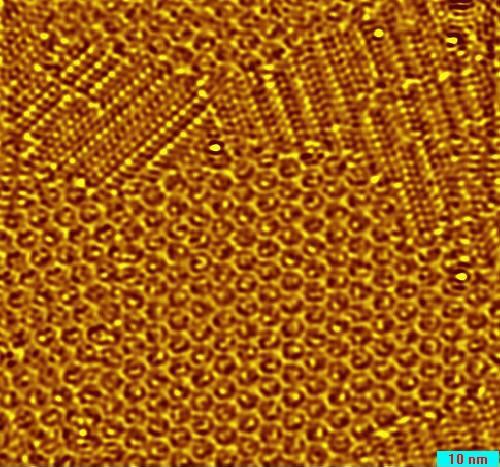 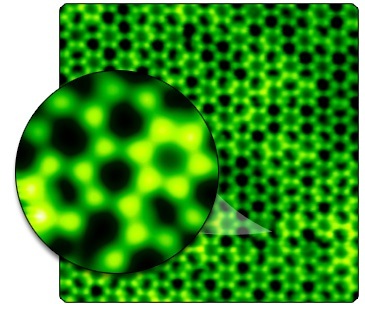 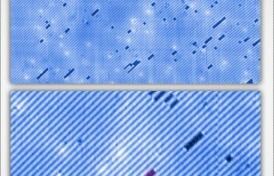 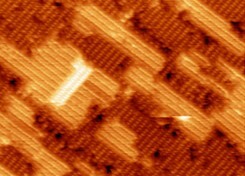 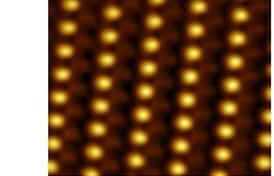 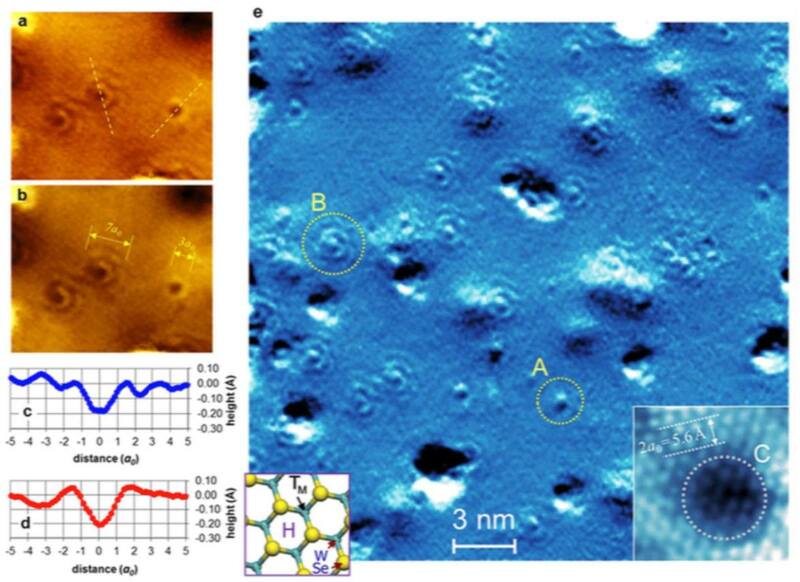 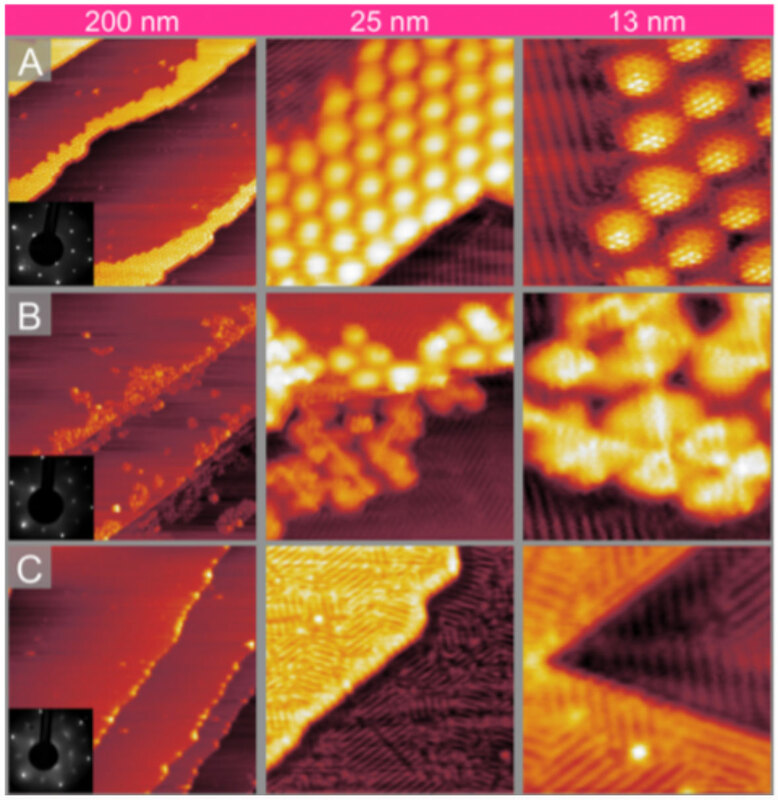 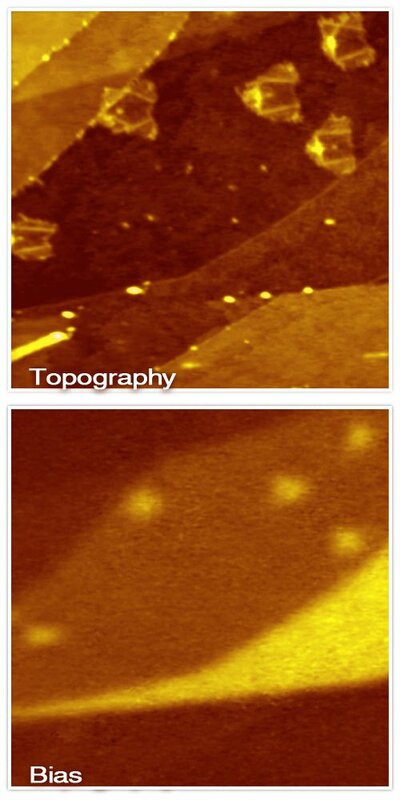 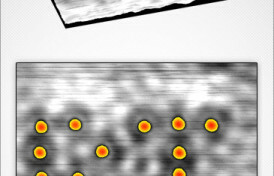 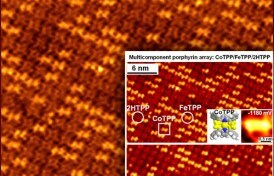 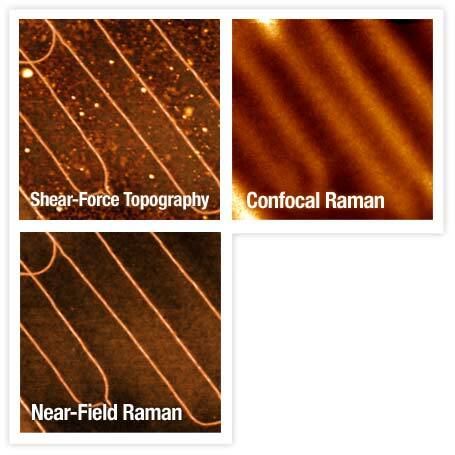 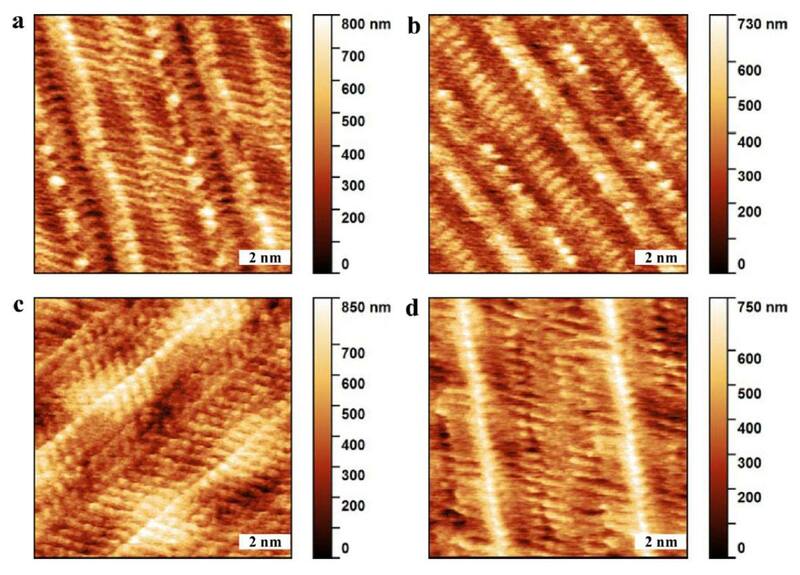 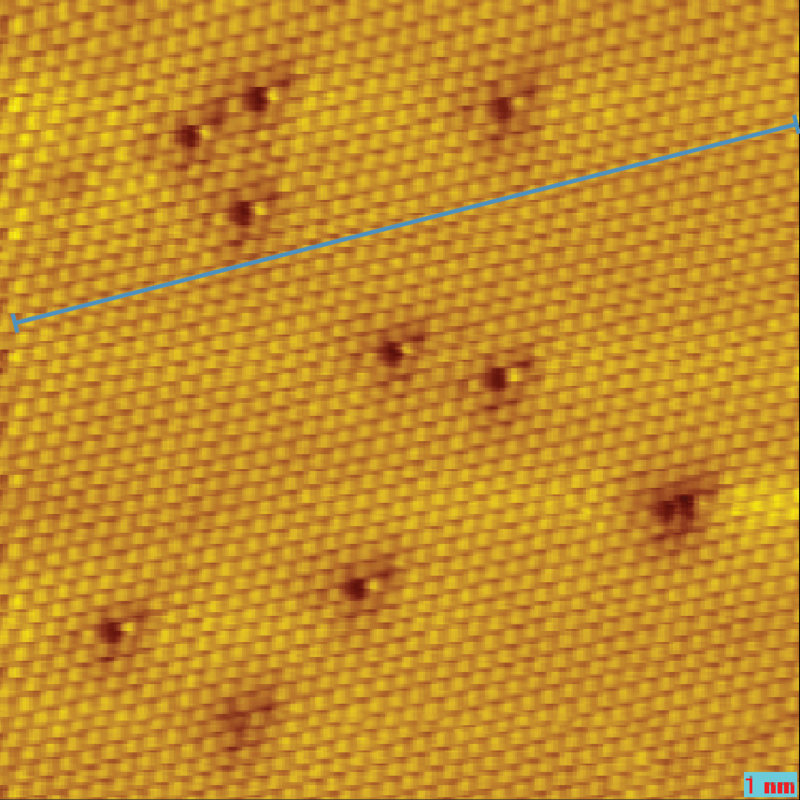 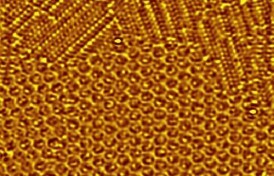 Also the monolayer shows lower surface potential difference to SrTiO3 than few monolayers. 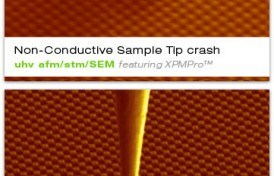 EFM-Cantilever (Pt coated) from Budget Sensors with resonance frequency of 260 KHz (ElectriTap300-G). 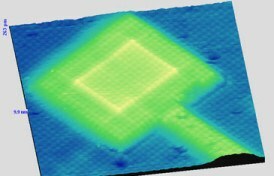 The cantilever oscillation amplitude is 22 nm and the data was obtained at room temperature.